Department store chain’s profits take a tumble, as home ranges struggle during the first half and margins are eaten away by the most promotional activity the business has seen in a decade. Gross sales were flat in the first half, up just 0.8% to £2,093.4million, with the retailer citing a “challenging” home market as well as an increase in promotions and the cost of new stores and IT improvements as having had an impact on figures. Like-for-like sales across the department store business were down 1.2%, whilst profits were wiped out, plummeting from £33.3million last year to -£33.5million in H1 2018/19. Fashion, as a category, saw strong sales and John Lewis & Partners said it outperformed the market in electricals and home technology, driven by a particularly strong performance in electricals, where sales were up 7.8%. However, the business recorded a 4.2% decline in home during H1, as it saw demand for big-ticket and bespoke ranges fall away. Despite this, the business says its own-brand affordable home range, House, performed well during the trading period, with particularly strong sales since its relaunch in July. Sister business, Waitrose fared better during the first half, with like-for-like sale sup 2.6% and profit up 7.2% to £94.4million. 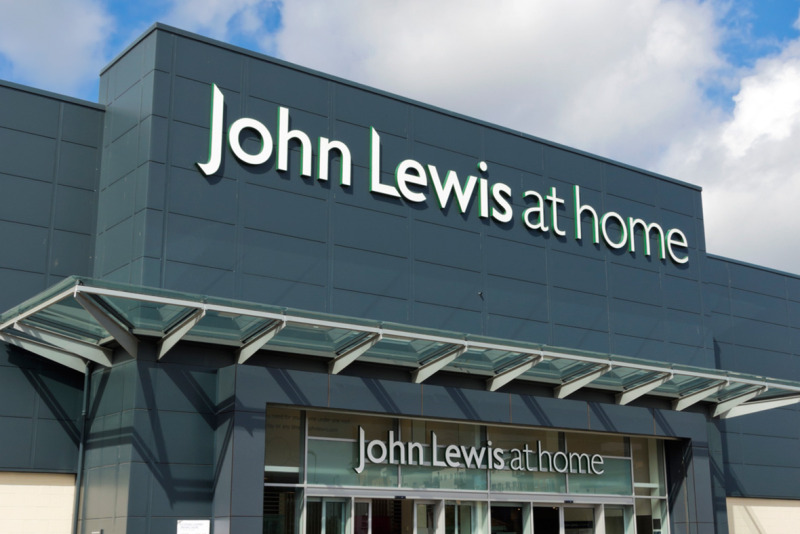 This helped offset declines from the department store business and saw parent firm John Lewis Partnership report a 1.6% uplift in gross sales and a profit of £6million – down 80.5% from the same trading period in the previous year. Investments during the first half included the replatforming of John Lewis’ website and money spent on improving its digital capabilities in order to keep ahead of competitors. John Lewis explained that 39% of its sales are made online and it expects this figure to continue to grow. As well as trading via johnlewis.com, John Lewis & Partners operates 50 John Lewis & Partners shops across the UK, comprising 36 department stores, 12 John Lewis & Partners at home and shops at both St Pancras International station and Heathrow airport.